With over half a million people attending the Indianapolis 500 every year, its little wonder that it has come to be known as one of the world’s greatest racing events. It is a test of strength and of endurance for both man and machine as racers speed around a circular track for 500 miles. However, the race itself is just one of the many things that happen over the much-awaited week. To get the full experience of the Indy 500, you’ll have to immerse yourself in some of the events leading up to the big day, without which, any Indy 500 experience will not be complete. One of the first events that kick off the 500 Festival is the 13.1 mile half marathon that almost 35,000 people participate in every year. The marathon route starts off in the city before entering the Indianapolis Motor Speedway and doing a lap in the oval before running back out onto New York Street. There is also a shorter 5K run as well as a Rookie Run for kids. On the eve of the race day, people flock to a route that runs through downtown Indianapolis to watch floats, balloons, bands and celebrities parade the two-mile long stretch. It is also the chance for fans to see their favorite drivers as they also take part in the parade. The parade is the only event during the 500 Festival that has taken place every year without fail since 1957. A fan favorite, the Community Day allows the spectators to take a lap around the Indianapolis Motor Speedway in their own cars. Fans also have to opportunity to take tours around the Pagoda and Pit Lane as well as get pictures and autographs from the racers. Community Day, includes a Kids Zone for children to enjoy, a vintage car show as well as the Media Pit Stop Challenge where members of the media battle it out for a chance to win a $5000 donation to a charity. Carb Day and the Indy 500 Snake Pit Two of the most popular events during the week are the Coors Light Carb Day and the Indy 500 Snake Pit. Carburetion day, or ‘Carb day’, will be a guaranteed good time for all rock enthusiasts and features performers such as Sammy Hagar and Sublime With Rome while the Indy 500 Snake Pit shows off the talents of some of the world’s best DJs. These are the parties an Indy 500 fan should not miss. Rally in the Alley One event that is not open to the public is the reception for all the participating INDYCAR members. It is a day for the mechanics and crew members to enjoy and celebrate the hard work they had put into building and maintaining the cars that would be driving around the Indianapolis Motor Speedway. The vent also hosts the “True Grit” awards night that recognizes the efforts of the INDYCAR members. 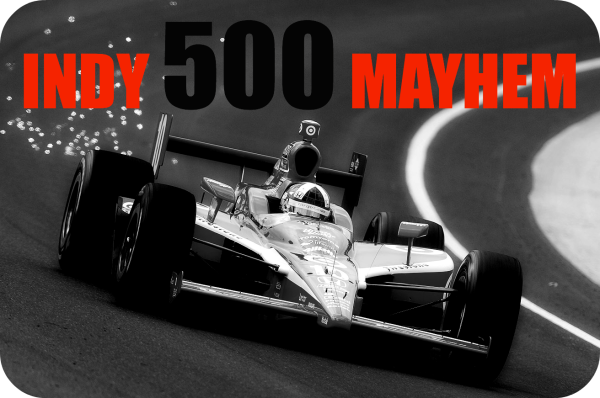 So there you have it – the anticipated events of the Indy 500. So the next time you’re attending, plan your itinerary well. The race itself will always be the major event, but these events are among those you don’t want to miss as well.